4500 Washington Avenue Night Club is the newest addition to the Washington Avenue Strip. 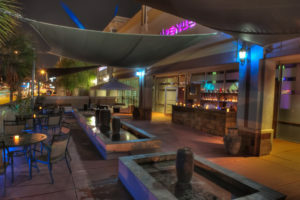 We have a nice large patio with fountains, two bars, a VIP area, big dance floor, DJs, valet, massive parking and more. We got it. Intelligent Light, etc. We feature the area’s best DJs mixing Top only the best House, Hip Hop and Mash Ups. Occasional Guest DJ appearances, surprise celebrities and Houston’s hottest most eager staff ready to serve you.